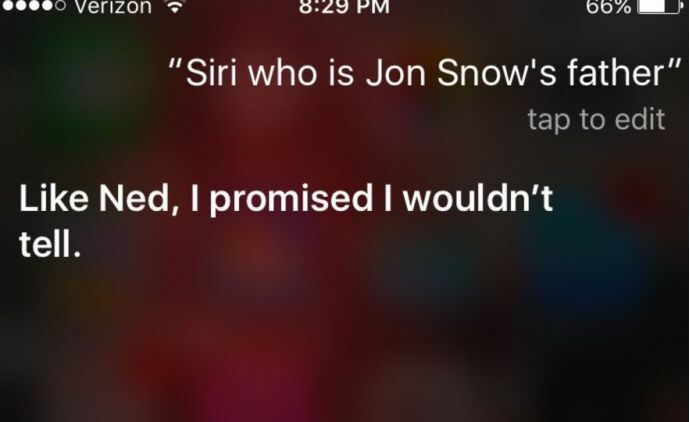 We Chatted With Siri About Game Of Thrones, Her Answers Made Us Cackle! 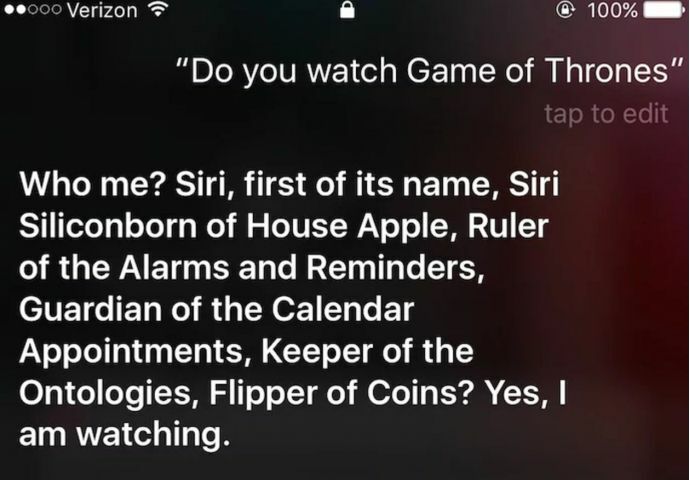 Again, an AI outsmarted us humans with her polished wit. Back when Game of Thrones wasn’t such a rage and I would have to wander streets and streets to find the barely-there clan of Thronies, I wished, prayed and cried for my tribe to grow and many others to become maniacs . 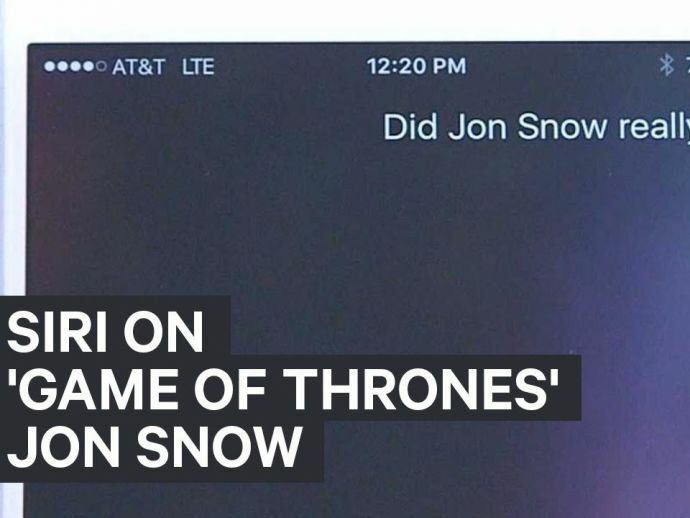 Today, 5 years later, the series became a phenomenon, the Throne became a topic of chai-pe-charcha and one just can’t shut up about its awesomeness. 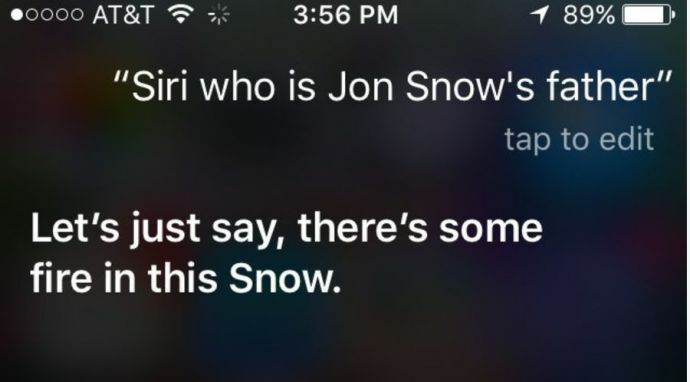 But it was today that I feel my prayers answered in the truest sense when the latest to join our fandom was Siri, the Apple AI. 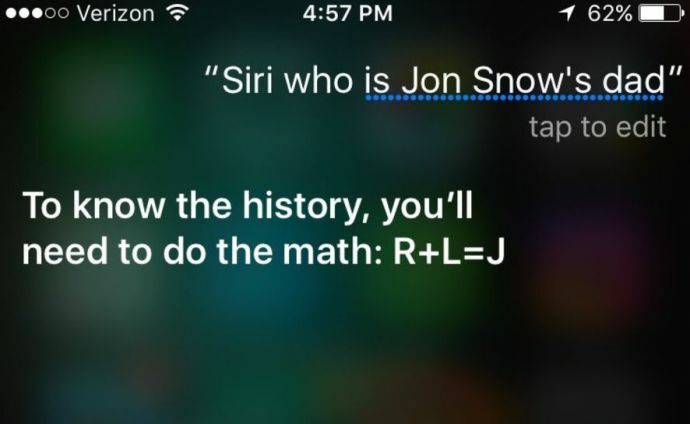 We asked Siri our favourite questions and here’s how her answers made our day!